From Hwy 1 (Trans-Canada Hwy), take Morley Road, Exit 131, north 3.6 km to Hwy 1A, turn left (west) on 1A, 12 km to “Stoney Indian Park / Buffalo Paddock” sign. Turn left (south) at the “Peacekeepers” building (now a burned ruin), 0.8 km to gate, then go 1.5 km beyond the gate to the site (past the vandalized building with the peaked roof and the “WOMEN” and “MEN” signs on the front at approximately 0.7 km, then an additional 0.8 km). The site is on the right (south) side of the road. Note: The last 1 km of this road is rough; walk it if your vehicle can’t stand it. The park is officially closed during wintertime though access by foot is feasible, weather permitting. You might want to contact Ray Greenwood, (403) 881-2614, for access arrangements, which may require payment of a $5 fee. Security guards in the area have been known to save paperwork by collecting fees from visitors on the spot. 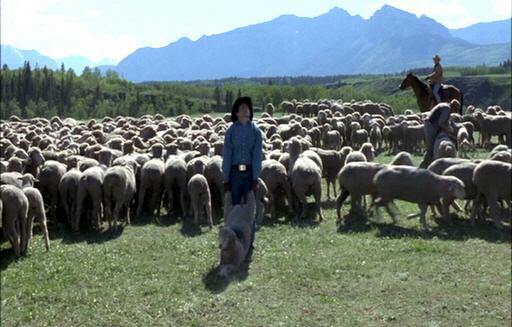 Like most brilliant comedy, this clever scene, in which Jack “has his way” with the sheep, is rich in symbolism and foreshadowing. Naïve and natural, the sheep have tangled and graze in perfect peace. They don’t care about the brands that have been applied by the Joe Aguirres of the world to keep them apart. Meanwhile, Jack finds it very difficult to force a timid, reluctant sheep to separate from the herd and defiantly expresses his exasperation with Aguirre / authority. Ennis fears the consequences of failing to please Aguirre and, not for the last time, urges obedience. 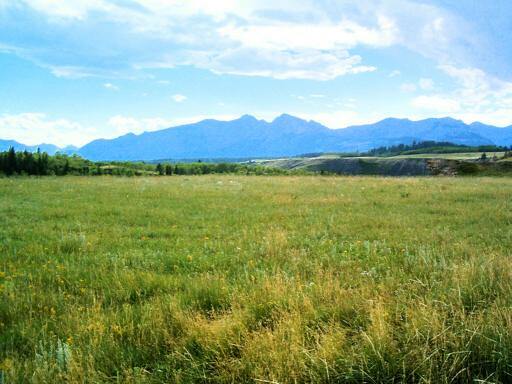 Always obtain appropriate permission before entering private property and Native reserve lands. You may encounter horses roaming. Drive slowly and be prepared to stop. Do not leave valuables in parked cars.